If you’ve read this post here at the Hogtown Crier, you know that once the land for the city of Toronto was “purchased,” it was surveyed by one John Graves Simcoe in 1793. Soon after, he went about dividing the area north of the city limits into park lots, which were narrow, 100 acre lots going from Lot St (now Queen St) up to what is now Bloor St. Those park lots were then granted to some elite, land-owning white men, who could do with them as they pleased. 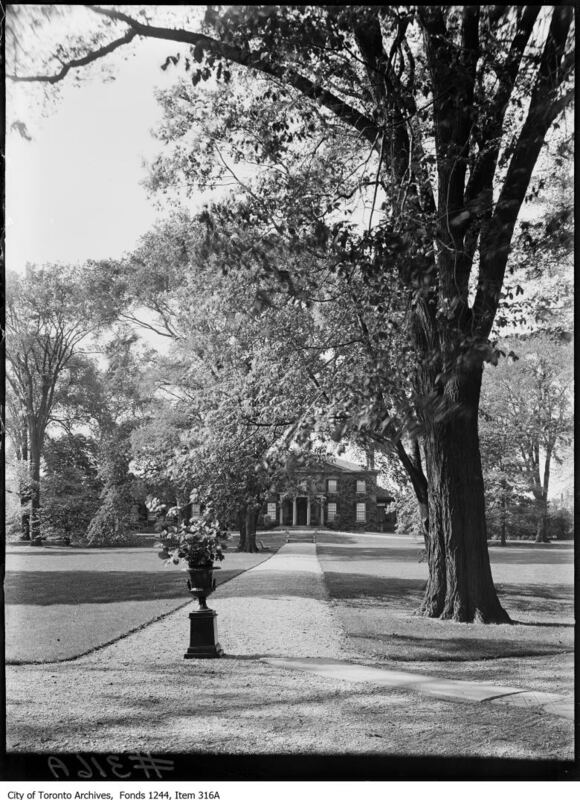 A few years later, in a case that smells a little bit like some mild nepotism, a young man named D’arcy Boulton Jr. bought one of those park lots for 350 pounds (roughly equivalent to about $9000 in today’s money). Let me say that again. 100 acres from Queen to Bloor. 350 pounds. Really makes me want to take out a loan and buy up some real estate in a really remote area, and just sit there hoping a huge city will grow around me. This guy Boulton Jr. was just 23 when he made the purchase, and was able to retired from merchanting at the ripe age of 37 to be a full-time landowner, a truly 19th century profession. D’arcy and his wife Sarah Ann built a house on their 100 acres in 1817, and not just any house. They built a giant Georgian manor for them and their soon-to-be-8 kids. I couldn’t find out exactly why it was named The Grange (though it was commonplace to name your house at that time), but my guess is that there was some familial association, given the Boultons had very recently come from England, and there are a number of places/buildings called “Grange” back in the motherland, close to where D’arcy’s ancestors lived. The house as it stood in 1909. It looks a little different that it would have when it was built in 1817, but not any less stately, I assure you! The house had a couple additions and renovations in the 1840s, mostly to accommodate the rising political activity of the eldest son, William Henry Boulton, who was “elected” mayor of Toronto three times (dude needed more office space and a meeting hall in case his aldermen buddies wanted to come over). In addition to being super fancy looking and being surrounded by beautiful grounds, The Grange boasted a glass conservatory that was renowned for its excellent botanical selection. Actually, William Boulton won a bunch of prizes at the 1844 Toronto Horticultural Society Show. William Boulton was a celebrated (and also maligned) politician, but unfortunately was in rather dire financial straits by the time he died. He had married Harriet Dixon, who came from a super wealthy family, and during his life had transferred ownership of The Grange to her. 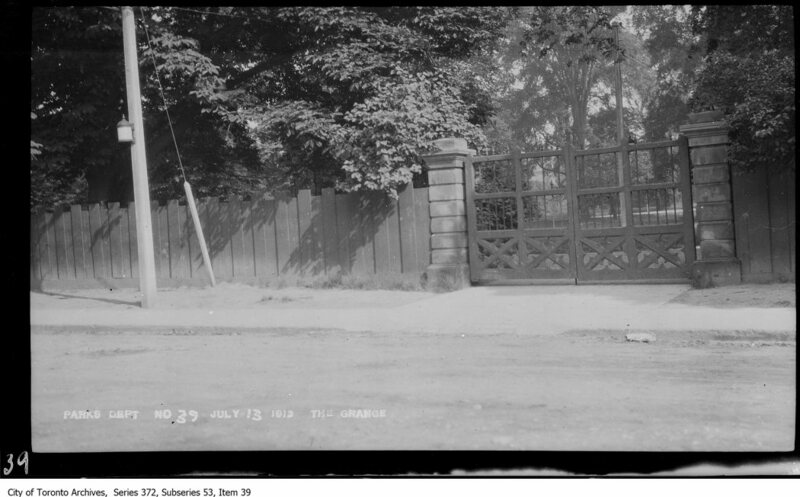 The entrance to The Grange – at the head of John St. Circa 1913. Grumpy fringe politics aside, Goldwin Smith was mostly beloved by the community. 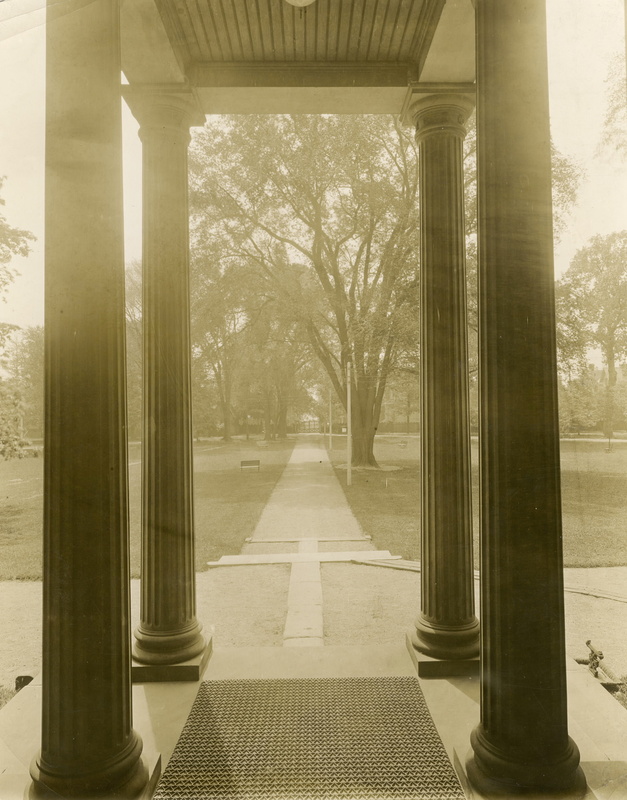 While him and his wife were there, The Grange was host to a whole bunch of important visitors to Toronto, including ambassadors, and his good friend, the University President of Cornell. 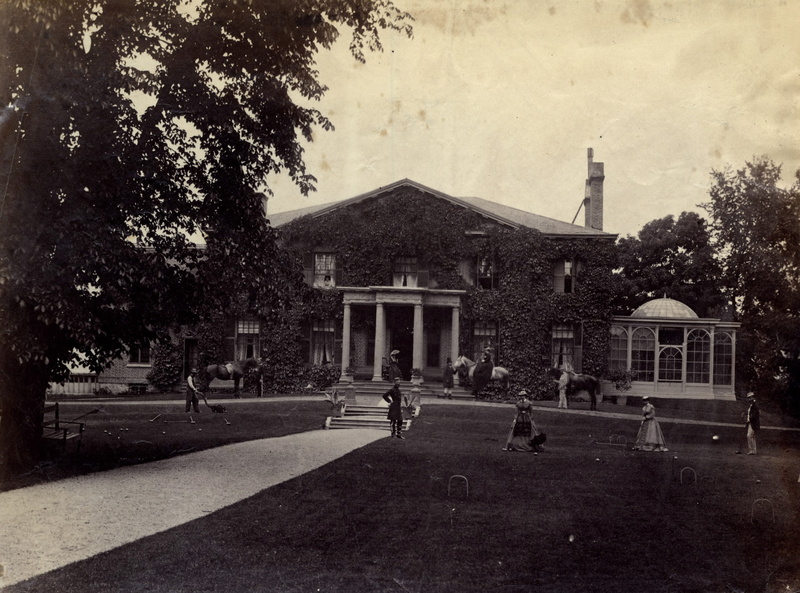 The Grange grounds were also well-used – Harriet Smith also hosted lots of parties and encouraged the use of the grounds by the local church, for community events, and also for lectures and art classes for children. 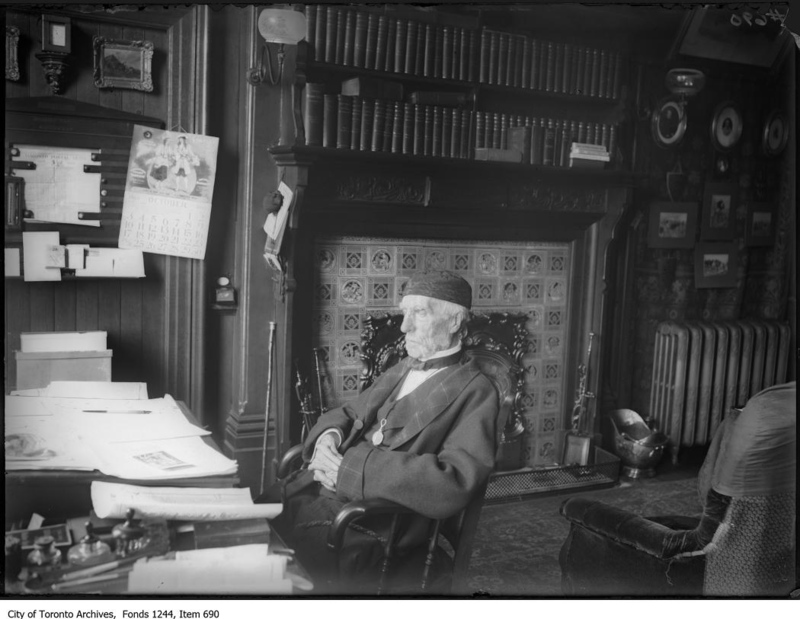 Goldwin was influential in the development and expansion of the University of Toronto, and was a strong supporter of the arts in the city. 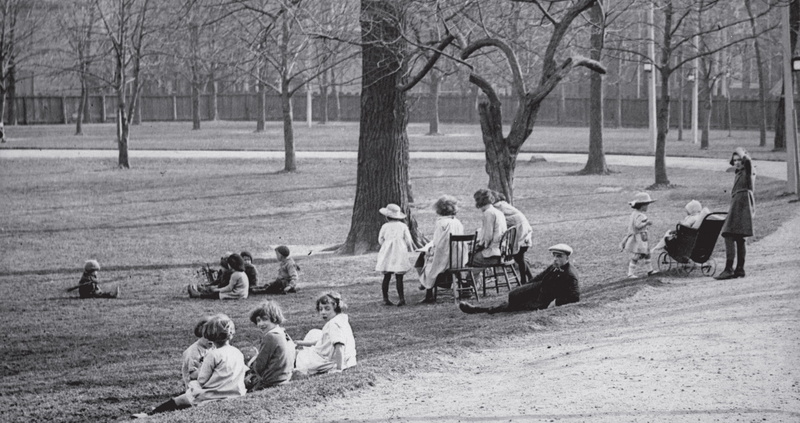 Kids hanging out on The Grange Grounds on fall afternoon in 1923. And with that airtight legalese, the plans for the Art Gallery of Ontario were born. The upper floor of the house at the Grange was used as the Art Gallery of Toronto starting in 1919, and used as the classrooms for the Central Ontario School for Art and Design even earlier than that. 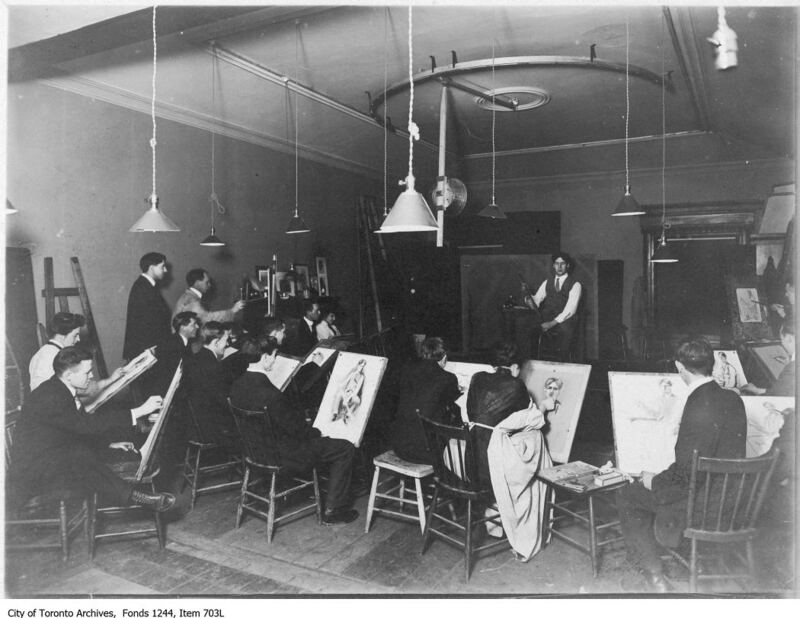 That school became the Ontario College of Art, which became The Ontario College of Art & Design, which is now technically OCAD University. OCAD moved over to McCaul Street, just beside The Grange, and more additions in the 20s and 70s were added to and around the original Grange building. In 1966, it was renamed Art Gallery of Ontario. 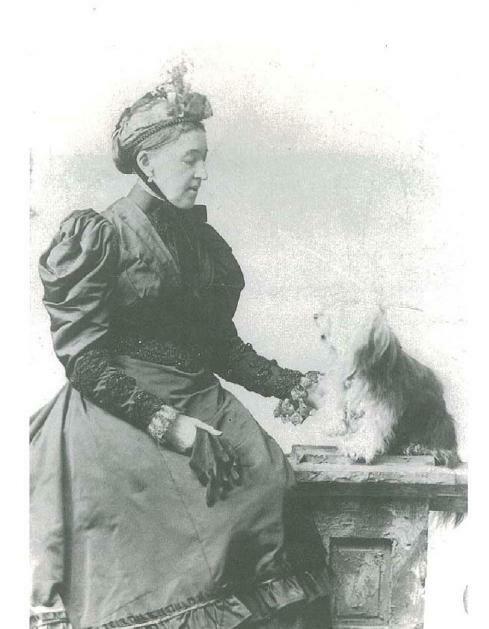 Harriet Smith and her dog (cat?) in 1895. She may not have gotten a cool nickname, but she’s the real hero of this story. If you’re looking for a name for the tone of that quote, I think I would go with “begrudgingly reverent.” Goldwin Smith actually still has a hall named after him at Cornell. One of the last portraits of Goldwin Smith in his study at The Grange. Man…dude may be a curmudgeon, but he just looks downright sad here. Grange park still exists, and you are more than welcome to sit on a bench and imagine you’re part of the 19th century Torontonian gentry. Or that you’re taking an outdoor art class. The original Grange building has been revitalized, and is now integrated with the much bigger, modern building of the AGO.